Unrelated instructions are the worst cases of bad UX - Harold Tor. 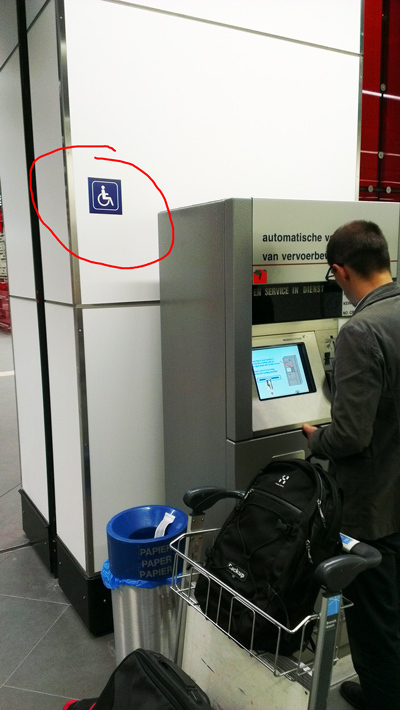 I have no idea why the wheelchair sign is placed beside the ticket vending machine. It probably means that the machine is of a wheelchair-friendly height. But if a sign is not immediately clear to the user, it is useless or may even be counter-productive.